Bitcoin Price Weekly Analysis – Can BTC/USD Make It? Is Bitcoin Better Than Stocks? Ethereum Price Technical Analysis – ETH/USD Buy Dips? Bitcoin Price Weekly Analysis – BTC/USD to Sustain Bullish Momentum? Bitcoin Price Technical Analysis for 12/20/2016 - Still Channeling Higher! Bitcoin Price Watch; 800 Breaks! Bitcoin Price Technical Analysis for 12/19/2016 - Breaking Past $800! Unfortunately, we have come at a crossroads in the Bitcoin world, as the focus seems to be shifting to blockchain. People view Bitcoin as a variety of tools, ranging from something that facilitates illegal activity to financial freedom and just an investment vehicle. Rather than trying to put people into “categories”, the better approach would be to see which phase of Bitcoin adoption they are in. After all, the first time someone becomes interested in Bitcoin, they are automatically on the adoption curve. Everyone involved in the world of cryptocurrency will acknowledge that Bitcoin adoption is not an easy task to accomplish. Granted, most of us can convince friends or family to take an interest in this innovation, but things are a lot harder when it comes to explaining Bitcoin to the masses. In the early days, most people saw it as a joke, or something they should – or would – never care about in the first place. That is only normal, as novel concepts always attract a lot of attention, yet very few people delve deeper into the matter. Some people referred to early Bitcoin adopters as crazy, although they got proven wrong relatively quickly. Mining was fun in the early days, and even though there was some effort involved in setting everything up, everyone could join the level playing field. Even though the mystery of “Who is Satoshi Nakamoto?” is still making media headlines these days, Bitcoin adoption is not hindered by not knowing the creator of this cryptocurrency. Lots of people automatically assumed they would become rich from Bitcoin, and they still have a fair chance of netting a healthy profit in the coming years. Nothing has been written in stone just yet, though. Unfortunately, we have come at a crossroads in the Bitcoin world, as the focus seems to be shifting to the blockchain. In fact, a lot of companies are shifting their focus from Bitcoin altogether, simply because the mainstream media outlets dictate blockchain is good, and Bitcoin is bad. True cryptocurrency enthusiasts will not pay too much attention to mainstream media, though, as these outlets do not have the best of reputation when it comes to spreading the truth. Bitcoin adoption will be affected by this crossroads, though, as it marks an important stage in adopting this cryptocurrency. Financial experts feel Bitcoin and blockchain can be separated, although it is very doubtful that a distributed database for banks will be called a “blockchain” in the future. Decentralization is not the top priority for financial companies right now, even though Bitcoin has clearly shown it is the right way to go. It will only be a matter of time until these people reach the next stage of Bitcoin adoption, during which the veil will be lifted from their eyes. This ecosystem is all about Bitcoin and blockchain together as one unit, and trying to split the two will not work in the long run. Even though not every technical aspect of this ecosystem might make sense to the average consumer, they will need to realize that Bitcoin and the blockchain are intertwined. Going through all of these phases requires a lot of effort from the end user as well, though, as nothing is given for free in this world. The people who want financial freedom regardless of fully understanding the technology, have already embraced Bitcoin for what it represents. The rest of the world will have to go through these stages of Bitcoin adoption over the coming years. NewsBTC is a news service that covers bitcoin news, technical analysis and forecasts for bitcoin and other altcoins. 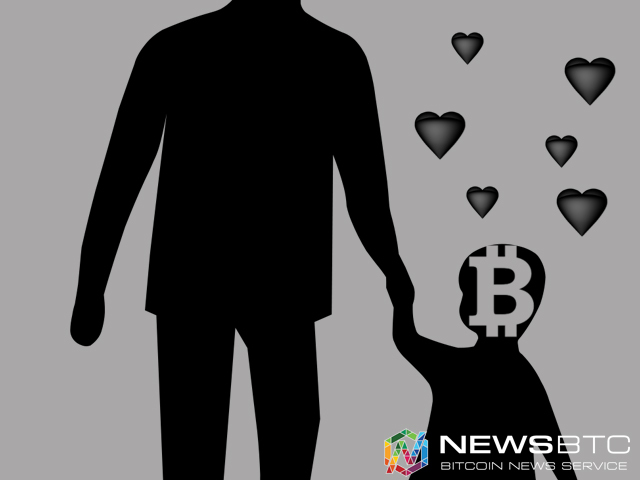 Here at NewsBTC, we are dedicated to enlightening people all around the world about bitcoin and other cryprocurrencies. We cover news related to bitcoin exchanges, bitcoin mining and price forecasts for various virtual currencies.